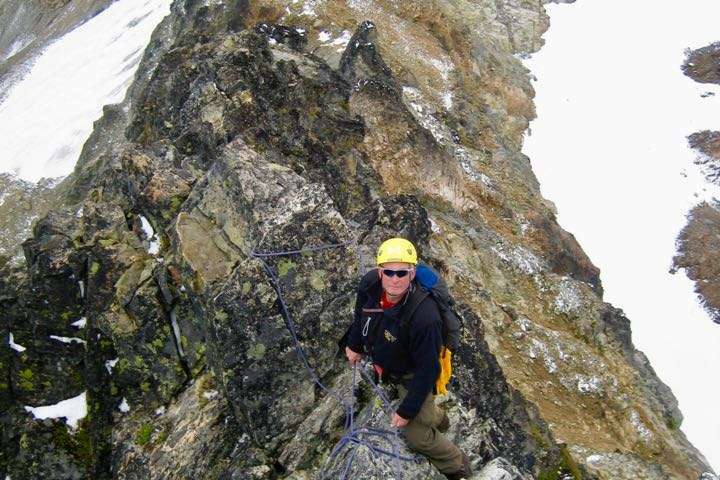 Alpine rock climbing takes you to summits far off the beaten path of typical cragging areas. It involves moving quickly over 4th and low-5th class rock, and employs a rope for short belays and steep sections. Alpine climbing typically provides a more solitary experience in locations that achieve birds-eye views and require continuous climbing. This is a two day program, with day one taking place at Smith Rock & day two in the mountains of the Central Oregon Cascades. On Day 1 of your course, you’ll go to Smith Rock State Park and cover the basics of rock climbing. You’ll become familiar with tying in to an anchor, belaying a lead-climber, and climbing commands. You will do a multi-pitch practice climb. On day 2 your objective will be determined by you and your guide collaboratively, based on your interests and abilities. We may attempt a traverse of one or more of the peaks of the Marsupials, the ridge of summits that overlooks Smith Rock State Park. Or we can head into the Cascades to attempt the summit of Three Fingered Jack, Mt. Washington, or Broken Top. Either way we’ll put your new rock skills to work in a spectacular alpine arena, with incredible views and excellent rock. There are areas all over Oregon that afford excellent alpine rock climbing in accessible settings. On the second day of your alpine climbing course you may climb in the Marsupials high above Smith Rock State Park, explore the Cascades on Mt. Washington, Three Fingered Jack or Broken Top, or attempt the summit of the unique and rarely climbed Illumination Rock on Mt. Hood. In this two-day program, you’ll spend the first day learning at a local crag. Your guide will introduce you to rope systems for multipitch rock climbing. That includes belaying a lead-climber, removing anchors and protection, and moving efficiently on 4th and 5th class rock. On the second day, you’ll meet at the trailhead for one of a few excellent alpine rock objectives in our area. You’ll spend a few hours approaching the climb, and several hours on route. 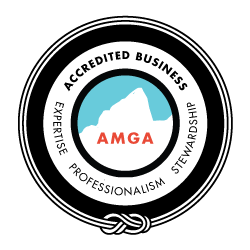 Depending on the level of challenge you are looking for, your guide will choose between routes like the South Ridge of Three Fingered Jack and the North Ridge of Mount Washington. Those with a bit more experience may opt to try the West Ridge of Mount Washington, while those looking for something a little less challenging may conider the Northwest Ridge of Broken Top. All of these summits are small and remote, and we usually have them to ourselves. The West Rib of Mount Jefferson is within your ability, if you have some steep snow climbing experience too.